Lex was immediately admitted to a private hospital for emergency treatment before being flown back to the UK in a German air ambulance. The plane was so small there was only room enough for Lex and me. Lex’s Dad, Allan, followed some hours later on a charter flight and met us at St James’s Hospital in Leeds. Within 24 hours Lex was diagnosed with ALL and began what would amount to over three years of chemotherapy. 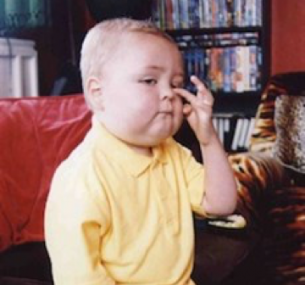 Lex was due to start his very first day at school that September. We were all determined that his illness would not prevent or spoil such a landmark occasion. 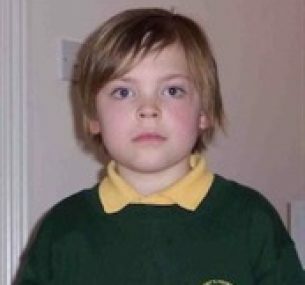 Although he had had surgery to fit a portacath (a device for administering drugs and taking blood samples) just a few days before school started, that didn’t stop him: Lex put on his new uniform and attended his first day at school. Despite being confined to a Major Buggy and rapidly losing his hair, Lex made friends who gave him the confidence to move around the school by himself. Lex would refuse support and slowly climb the stairs to the school hall. He participated in assemblies and sports days – choosing to play the crowd and lie down in the middle of a race, to great comic effect, rather than admit defeat. Frequent stays in hospital meant missing a lot of schooling. Despite this, Lex is one of the highest achievers in his class. The treatment, of course, was long and hard and there were private moments when Lex was distraught and in pain. When he asked why this had happened to him I explained it was because he was one of the only people strong enough to deal with it. Lex finally completed his treatment in October 2007. We decided to celebrate by throwing a Star Wars fundraising party to coincide with Lex’s 8th birthday. We called it Lex Strikes Back. Members of the UK Garrison, the premier Star Wars costume society, came from all over the UK to entertain friends and family. They even included Lex’s favourite Delta Squad Commandos Boss, Sev, Fixer and Scorch. The event featured a props exhibition by Hullywood Entertainment; balloon modelling; the use of indoor play equipment and a champagne reception. Many members of our local community supported the event. Combined with the proceeds of an earlier street collection, we raised almost £2,000. One year on and Lex is in remission, growing taller and stronger every day. His experiences have given him wisdom beyond his years and the ability to tackle whatever problems life may throw at him. It is now our turn to support the charities that supported us during our most difficult time.